We are involved in offering a huge array of surgical consumables to our valued clients including 2 Ply Surgical Face Mask. 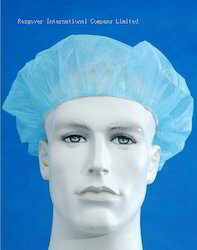 These are widely used in leading hospitals and acclaimed for unique features. These are used during operative procedures and offer an excellent protective barrier against transmission of infections. These are available in two layers and three layers configurations and have ultrasonically welded high-bacterial filters. For seamless fixing, these are provided with tie straps, and nose clip prevents fogging of spectacles and also maximizes the efficiency of filtration. 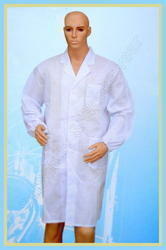 Our clients can also avail surgeon gowns at reasonable rates. 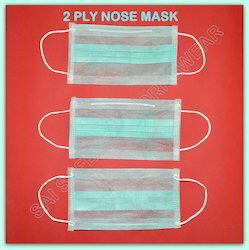 Two Ply Non Woven mask come in various colors. 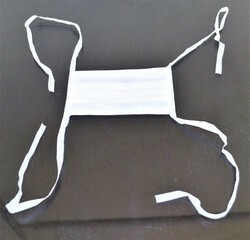 Ear loop and Tie which can be tied behind the head. 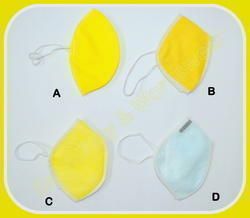 The Face Mask are used by the health care staff for facial protection against airborne infections. 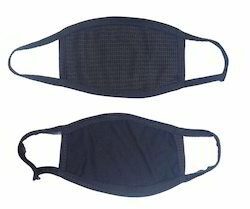 These face masks are designed from the very soft material which allows air flow in such a manner that the user does not feel suffocation. They have two ear loops made of elastic yarn to fit. They have aluminum wire on the outside across the bridge of the nose that can be bent for a custom fit. A surgical mask, also known as a procedure mask, is intended to be worn by health professionals during surgery and during nursing to catch the bacteria shed in liquid droplets and aerosols from the wearer's mouth and nose. They are not designed to protect the wearer from inhaling airborne bacteria or virus particles and are less effective than respirators, such as N95 or NIOSH masks which provide better protection due to their material, shape and tight seal. Surgical masks are popularly worn by the general public in East Asian countries to reduce the chance of spreading airborne diseases. 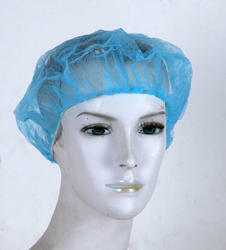 bouffant cap (plural bouffant caps) A loose cap, so called because of its puffy shape, typically secured around the head with an elastic, and frequently used in clean rooms, food service, and other settings to contain loose hair. Disposable Mask, Do not re-use, discard after 8 hours of continuous usage and use a fresh mask, In case of breathing difficulty remove mask. Not recommended or children below 6 years. 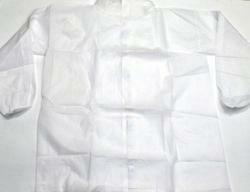 Soft, coloured and water -repellent non-woven fabric for improved protection against dust and humidity. If you have any problems with the item received, please let us know. Please contact us before you open dispute and send items back. Please ensure the item will be returned in good condition with original package. Easy face masks are 3-ply protection, ear loop Used in medical, dental, laboratory, food sectors, school, household, industry and multi-purpose Easy breathable, effective multilayer bacterial filter Soft, lightweight, comfortable and easy to wear The soft fabric of the masks makes it gentle to skin. It's hygienic so you can wear it to save yourself from other unhygienic dust or air. Most important of all, they have no chemical odor. The mask is designed so uniquely that it can fit children as well as adults. 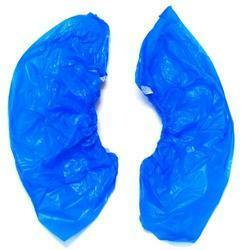 Made with adjustable plastic nose piece and elastic loops that can be attuned as per the requirement. The outer and innermost layers are water resistant (not filtering), meaning to prevent saliva and mucous going out, and blood or other bodily fluids getting in. This is good when you are trying to prevent droplets from going out of the mask or trying to get in. It has excellent water repellency and air permeability resulting in providing comfort & dryness resulting in anti bacterial and anti fungal resistance. 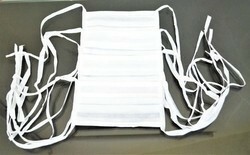 We are the manufacturer of the Disposable Face Mask. 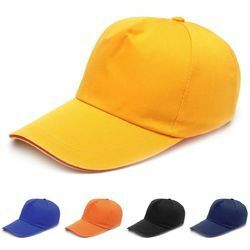 We are a leading manufacture cap & T shirt company, we are supplying customised cap and all kind of cap. Being a leader in the fashion industry, we are engaged in manufacturing and supplying a premium quality Cotton Cap. Black Unisex Cotton Blend Anti-Dust Protective Earloop Face Mouth Mask Cycling Sports Respirator anti pollution mask. Available with us, is an extensive range of Safety Masks such as Yellow matty mask, Two ply and Three ply non woven masks, Yellow non woven mask that is designed to meet the exceptional requirements of the health-care workers and workers who work in dusty enviroment.Available with us, is an extensive range of Safety Masks such as Yellow matty mask, Two ply and Three ply non woven masks, Yellow non woven mask that is designed to meet the exceptional requirements of the health-care workers and workers who work in dusty enviroment. 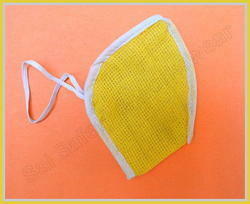 the best quality range of Non Woven Face Mask / Dust Safety Face Mask / Safety Masks. 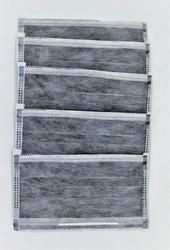 Non Woven Face Mask / Dust Safety Face Mask used to genral purpaas.